On the weekend Alex Peroni showed a clean pair of heels to his opposition in his awesome CRG Piccolo chassis powered by a Concept Karting Comer W80 engine. 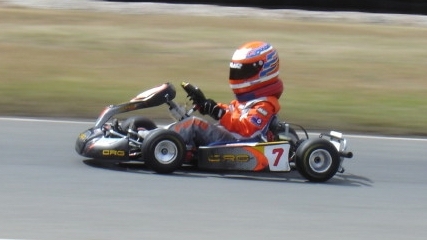 The Titles were held at the Orielton Raceway, Hobart and Alex won the Cadets Class convincingly in both heats, the pre-final and final. As this race meeting also incorporated the first round of the Tasmanian Statewide Series, Alex’s great effort earned him good points towards that series.